The Code Busters are excited for their class field trip to Angel Island, known as the Ellis Island of the West. One of Mika's ancestors passed through the island's immigration station in the early twentieth century, and Mika thinks he may have left behind some secret messages . . . plus a very special box. 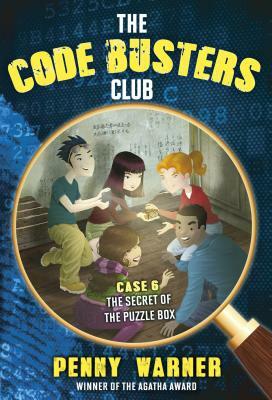 But as the Code Busters search for hints from the past, they get caught up in an even bigger secret. Can you crack the code? Test your brain with the Code Busters to see if you have the right stuff to be an ace detective. Answers are in the back, in case you get stuck.